Dolce & Gabbana continues to represent the best in Men’s fashion – always delivering stunning results. For their Spring/Summer 2012 ‘Man’ Collection, Dolce & Gabbana does it again with a collection that is of high-fashion yet keeps a certain understated appeal throughout the looks. 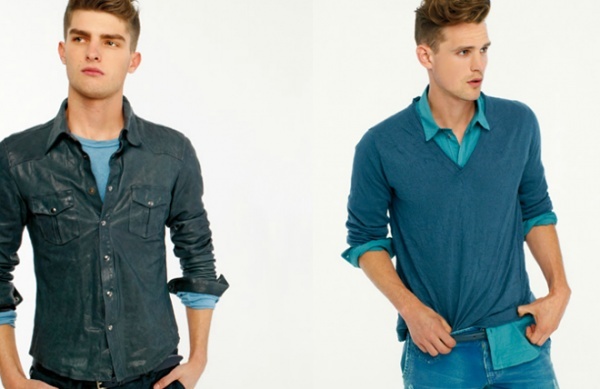 The Spring/Summer 2012 collection presents an assortment of styles from solid color blocking to softer pastels and fabrics. Prominent in the collection are suit jackets and sport coats as well as shirts and denim shorts presented in fitting Summer styles. Worth noting are the Varsity jackets featured in bold solid colors as well as the very cool brown leather bomber. Scarves, belts, footwear, and bags round out the collection. The Spring/Summer 2012 ‘Man’ collection from Dolce & Gabbana is yet another extremely strong outing for the always trendy brand. Check out the full Lookbook at the Dolce & Gabbana website. This entry was posted in Accessories, Black Tie, Collections, Footwear, Pants/Bottoms, Sportcoats, Suits, Tops and tagged 2012, Collection, Lookbook, Man Collection, Spring, Spring Summer, Spring Summer 2012, Spring/Summer, Spring/Summer 2012, Summer. Bookmark the permalink.